their sexual health and well-being. It is important to go for screening if you develop symptoms. Being diagnosed and treated early helps prevent future complications. can take charge and make informed decisions for their sexual well-being. the rising rates of people contracting HIV. The materials in this book should be used as a guide. 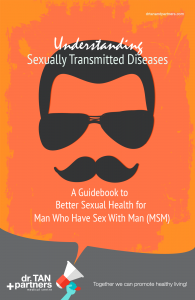 Many STIs do NOT cause symptoms and symptoms can be mild.